Puerto Vallarta is much more than a Mexico beach destination; it's a place for enjoying life and nature, an opportunity to make new friends, a spot for celebrating your relationship or for finding the love of your life. 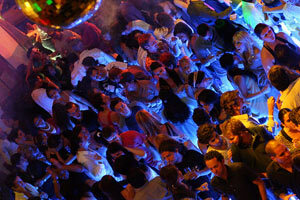 The nightlife in Puerto Vallarta is truly spectacular. At night, the rhythm and heat of this destination fill visitors with excitement. When the amazing sunset over the Pacific Ocean begins to appear, you can see how the city life is transformed into a large celebration. Music fills the streets, the Puerto Vallarta boardwalk fills with people ready for fun, and the nightclubs and bars prepare for incredible shows. 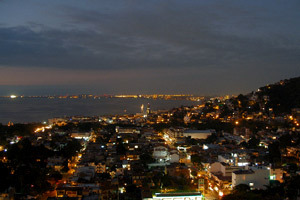 Definitely, the night lights up in Puerto Vallarta. Puerto Vallarta has something for everyone, from fun improvised groups on the boardwalk to beautiful Mexican fiestas at the hotels. You'll find cantinas with local music, modern lounges with the latest techno beats, popular bars with live rock bands, and nightclubs with music ranging from 80s pop to innovative DJ mixes. If you're searching for a more laid-back, bohemian vibe, you can enjoy the nights in the Riviera Nayarit, just north of Puerto Vallarta. Ask for a taxi to bring you from any of the Puerto Vallarta hotels and take you back hassle-free. Whatever you choose, don't miss out on an unforgettable night in Puerto Vallarta, an exciting and unforgettable experience!